Cleft lip and palate is the most common birth defect of the head and face. Cleft lip occurs when there is a separation or a gap within the upper lip. There can also be a separation of the roof of the mouth, which is referred to as cleft palate. This congenial anomaly can be distressing to parents and also present immediate feeding concerns for the baby. Here are some answers to common questions surrounding cleft lip. Clefts can form on any newborn. However, clefts of the lip and palate are most common in Asians and least common in African-Americans. It is also more likely to occur on those with a family history of clefting. There are a number of factors that may contribute to a cleft lip formation, including genetics, ethnic background, certain environmental and chemical/drug exposures. During fetal development, the face forms by the fusion of five different facial processes. These processes are like the pieces of a puzzle that must fit together perfectly to form a complete face. If two of these processes fail to fuse, then a cleft is formed. How Can Cleft Lip Be Treated? An experienced facial plastic surgeon, such as Dr. Ben Talei from Beverly Hills Center, can perform cleft lip repair surgery to suture the two sides of the lip together and repair the deformed nose. While this may sound like a simple procedure, it may take several procedures to achieve the desired results. Depending upon the severity of your case, these procedures can include the initial repair of the lip and nose (in the first 6 months of life), the palate repair (by 12-18 months of age), and repair of the cleft in the gumline (approximately between 7 and 9 years of age). Consulting a board certified plastic surgeon can help determine your best timeline of surgery. What Are The Benefits of Repairing Cleft Lip? A primary benefit of repairing a cleft lip is the cosmetic advantage. A deformed lip, and often nose too, can bring significant psychological distress to a child with teasing and ridicule from peers. In addition, leaving a cleft lip untreated can cause a child to suffer from feeding issues, speech impairment and even hearing problems, especially if the palate is involved. The treatment for those with cleft lip and palate often continues throughout childhood and adolescence. 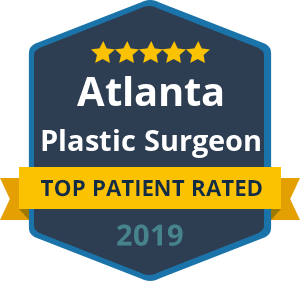 Therefore, it is important that you choose an experienced plastic surgeon and one that you and your child feel comfortable with.